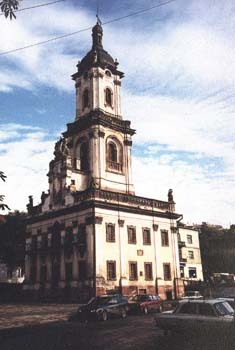 The most prominent building in Buchach is the Ratusz or Town Hall. It was built in 1751 and was used up to just a few years ago. Now it is boarded up and in bad repair. This photograph is quite flattering to the building which looks quite decrepit up close.